The perfect starter incubator for the beginner and the young breeder. Electronically controlled with manual egg turning. Option for automatic egg turning. *Include Accessories Bundle worth £89.99? 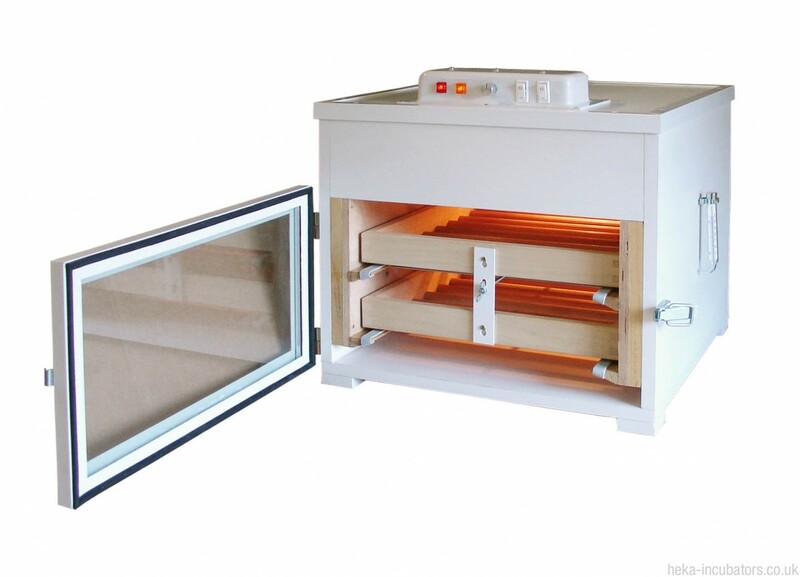 Electronically controlled cabinet incubator with (optional extra) fully automatic egg turner, capacity from as little as about a dozen eggs and up to about 90 hen eggs or equivalent. 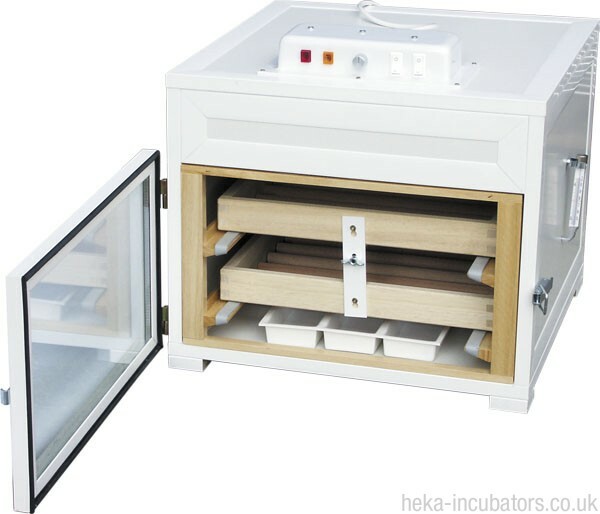 Due to the ease of use, excellent hatching results and affordable price, this entry incubator for beginners and small breeders has been one of the best sellers in our entire range of incubators. The cabin is made from a plastic coated wooden board and the door, fitted with insulated glazing, is also surrounded by a plastic frame. Absolutely hygienic and easy to clean, perfectly suitable for breeding waterfowl and water fancy fowl as well as all other poultry breeds. 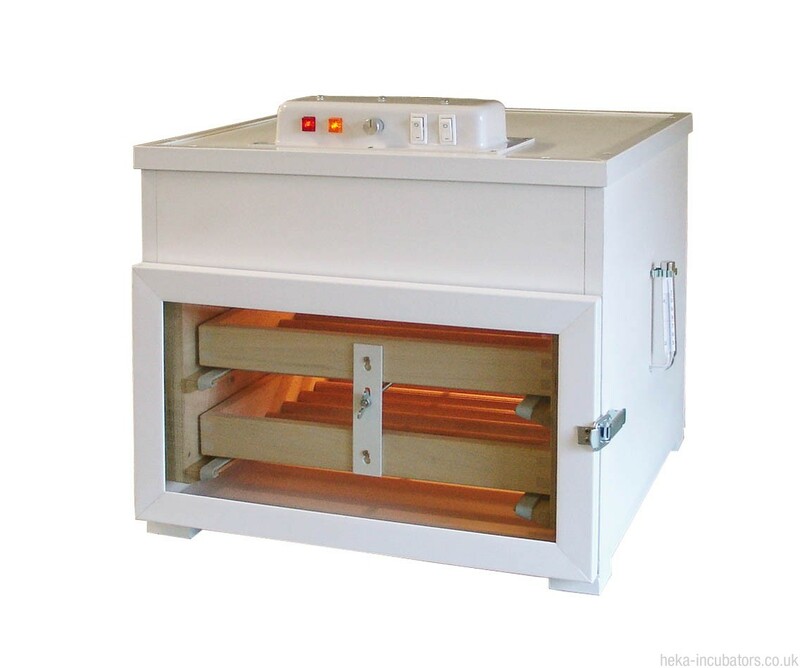 Comes with 2 incubating trays of your choice, or you can order with 1 incubating tray & 1 uncovered hatching basket. If you wish to fill 2 egg trays at a time, you will need to order 2 additional hatching baskets in order to use the incubator as a hatcher.